Half of the drugs sold in german pharmacies are prescription-only. The main counterfeit medicines are antibiotics, cancer drugs or cholesterol-lowering drugs. In 2017 sales of prescription-only drugs amounted in Germany to around 47 billion Euro. There are over 7,000 pharmaceutical manufacturers in Europe. securPharm, the German organisation for drug verification, has been live since September 2018.
tracekey is the first company in the EU to offer a GxP tested and GAMP compliant SaaS serialization solution. On average there is one pharmacy per 3,800 inhabitants in Germany. Around five million counterfeit medicines entered the European market in 2013. The WHO assumes that every 2nd drug purchased on the internet is counterfeited. From January 2024, no unserialised prescription-only drugs may be in circulation. Medical samples has to be serialized too. Through serialization, the pharmaceutical industry was digitized within 3 years and must therefore develop a new way of joint work. Counterfeits are mainly sold via grey markets, usually without prescription. 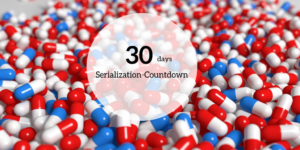 Serialization affects manufacturers, contract manufacturers, wholesalers, logistics industry, pharmacies and hospitals. With its cloud-based solution, tracekey is one of the leading Level 4/5 providers among serialization systems. Pharma industry speaks of serialization. Food, Automotive, Tobacco and Aviation speak of track&trace. 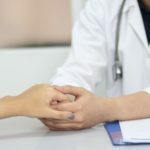 So-called “value-added services” can further expand the relationship between manufacturers and patients. Serialization can`t be solved by a company on its own. The necessary transparency can only be created through the complete networking of the value chain. Level 5 systems dedicately manage the exchange of information with external parties, such as contract manufacturers or government agencies. They allow the separation of internal and external data as well as the isolated handling of external access. Serialization could be a burden or an opportunity. The modernization of the infrastructure as well as the increased transparency in the production can mean medium-term advantages. New security features should enable wholesalers, pharmacists and doctors, for example, to obtain transparent information about the product and its supply chain. With BP tracekey is active on five continents. Europe is just the beginning, Russia and China want to serialise their medicines too. tracekey is listed as an EMVO Gateway Provider since 2018.
tracekey offers a solution for all companies operating on international markets with complex ecosystems. Advantages of the app-based tracekey solution: Each user group has an individual user interface – for easy and clear handling. With our serialization solution, our customers were always 100% within budget or even below. The implementation of traceability regulations is not a one-off project, but a continuous task whose framework conditions will change in the future. Our customers not only receive assistance in the implementation of regulations, but also long-term support in the execution of the serialization process.